Brampton, the vast suburban abyss. The city where youthful optimism comes to die. A place where nobody knows your name. A great place to raise a family! It’s an absolute lark to make fun of Brampton, but it’s also cheap. Any unoriginal hack can easily espouse the various perceived flaws of our neglected city. It takes a slightly skilled approach to see “the B” from an augmented angle. Once you are able to capture that angle, the city reveals an exceptional history of innovation and excellent points of civic pride. Here are 4 interesting things you probably didn’t know about Brampton. Bramalea was an ambitious attempt in the sixties to create Canada’s first “satellite city.” The new town was a pioneering attempt at creating a sustainable community, while addressing the issue of urban sprawl and congestion. Ever wonder why the big mall in Brampton is called Bramalea City Centre? That’s exactly what it is! Along with the Civic centre, public library, and performance arts space, it forms the epicentre of the Bramalea community. It’s also integrated with an extensive park and trail system which all lead neatly to Chinguacousy Park, also at the centre of it all. My favourite feature of Bramalea is the unique alphabetically order of the neighborhoods. Entire blocks are made up of street names that start with the same letter. This will probably be highly contested, but the N-section is the best section of all time, of all time! Why? Cause I’m originally from the N-Section, duh! The dream of a truly self-contained Bramalea was short lived. In 1974, the province amalgamated the towns of Brampton, Bramalea, Heartlake and others, into what we now call the City of Brampton. This sudden and forced annexation caused a chasm between old town Bramptonites and the upstart Bramaleans. Even today, 42 years later, there is still lingering resentment about the forced growth of Brampton. Maybe its time for a change of narrative. Fiat-Chrysler’s Brampton assembly plant has been an integral part of the city since it opened in 1985. Built by the now defunct American Motor Corporation, the plant was taken over by Chrysler in the late eighties. Chrysler has gone through various corporate changes, but the plant has continued to produce stable jobs as the second largest employer in the city. Dozens of models have been built in the plant, and millions of units have been sold worldwide. The current stable of automobiles to hail from the city may be the best ever with the 300, Charger, Challenger and even the short lived, yet long loved Magnum, bringing a new standard of motor vehicles to the company lineup. The ironic brilliance of the Brampton Chrysler cars is that they are distinctly marketed as American cars. The reviews have showered the range of locally built automobiles with heaps of praise. Applauding them for proving that classic American muscle can still compete in the era of increasingly refined driving experiences. Yup, made in Brampton. Almost right next door to the assembly plant is MDA Space, home of the Canadarm and Canadarm2. The Canadarm or Shuttle Remote Manipulator System (SRMS) was a significant contributor to the NASA Space Shuttle program. The series of mechanical arms were brilliantly engineered for the seemingly impossible tasks of operating with perfect precision in space. The Canadarm is even featured in the best movie of 2013, Gravity. The program was retired along with NASA’s space shuttle program, but was instrumental in various missions including the development of the International Space Station. The Canadarm2 is a more advanced version of the Canadarm that works permanently on the International Space Station. Attached to the Canadarm2 is the Special Purpose Dexterous Manipulator (SPDM) a.k.a Canada hand, or better yet, Dextre. Also made in Brampton, this “robotic telemanipulator” is a robot that can perform delicate tasks that were once only made possible by an astronaut during a spacewalk. Just like any sequel the Canadarm2 is bigger, stronger, has a sidekick, and is more engaging! You can find it on your nearest (Canadian) $5 dollar bill. 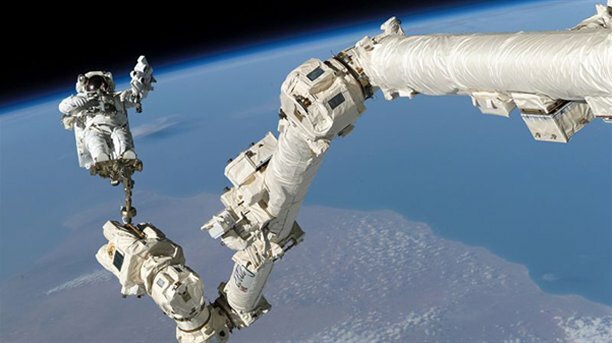 I wonder if any astronauts ever high five Dextre for a job well done, someone should, do it for Brampton! 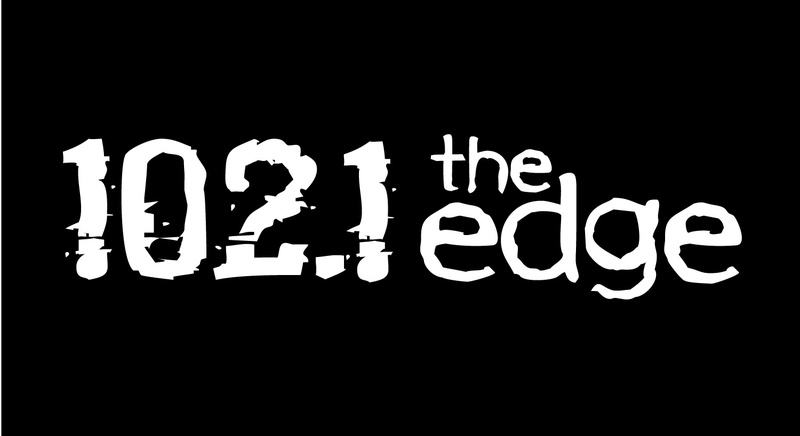 Arguably one of the most popular radio stations in the country, 102.1 The Edge is technically from Brampton. They were created and are still licenced by the CRTC to serve the Brampton community. The station has a coverage all the way into Buffalo, but Brampton is their main service area. Even though they don’t have much Brampton centric programming, the reception is fantastic out here. From it’s inception in 1960 as CHIC (then to CFNY), the station maintained local operations for many years in town until it moved to Toronto in 1996. 102.1 was the first station to truly provide the burgeoning market of alternative rock music a solid platform on the radio. Proclaiming itself as the “Spirit of Radio,” the station helped break local and and international artists in the days when radio was the internet. The Edge helped establish the careers of many of Canada’s biggest radio personalities and was the first to provide Canadian radio legends, Humble and Fred, a platform to launch their long running radio series. But like most ideas from Brampton, it had to go elsewhere to truly flourish and reach its full potential. The Edge outgrew the small town from which it was born and raised. Just like every cool and smart person has to move to Toronto, The Edge got hip, and never looked back. Well guess what Edge, we know your secret! One of us, one of us, one of us…..